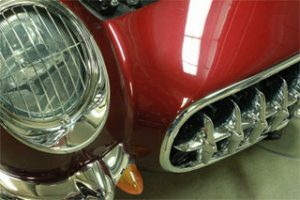 Although many people use our products for a wide variety of things, from painting fishing lures, carnival rides, custom concrete sealers, and even hotel lobbies and home interiors-our main concentration is automotive paint. 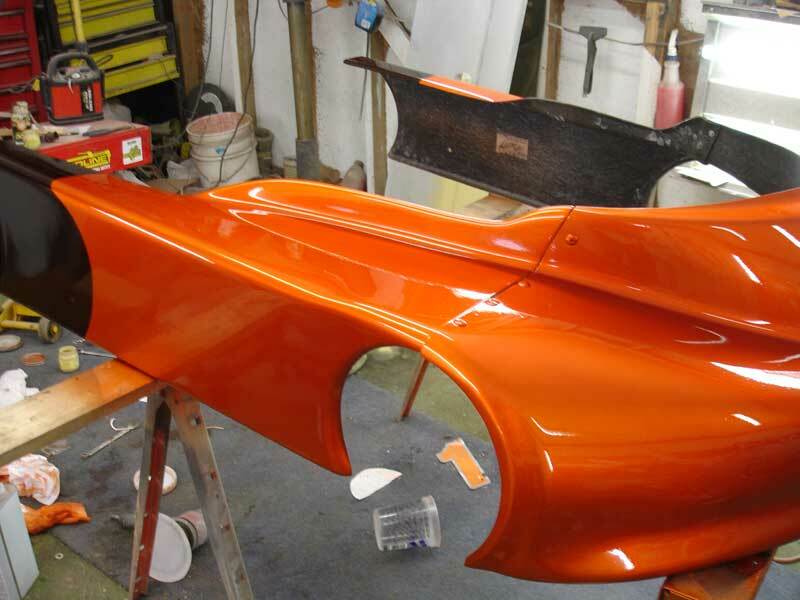 Our love of cars and quality automotive custom paint jobs has lead us initially to open this business. Our disappointment at the cost of most automotive paint lead us to develop a cheaper and better way of painting. 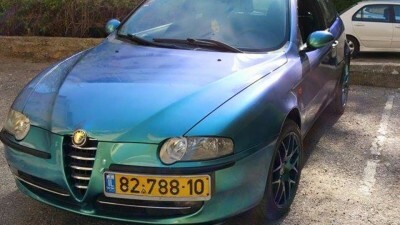 You choose your custom paint. Kameleon paint, iridescent pearls (or spectre pearls, as we call them),temperature change (thermochromic) paint, and our popular metallic candy pearls, all make up our line of discount pigments. We even sell glow-in-the-dark pigments at a deep discount..
Mauve Rose red Kandy Pearls on Corvette Hood. Aside from Kustom paint, we also supply pearls that are OEM compatible with the major automotive paint manufacturers’ pearls. Click Here for compatibility chart. 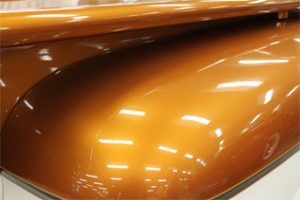 Since we get our automotive paint pigment right from the manufacturer, we are the only middle man involved and can pass on the discounts to you. We have lower expenses than any other paint company out there, and can therefore pass on the discounts to you. 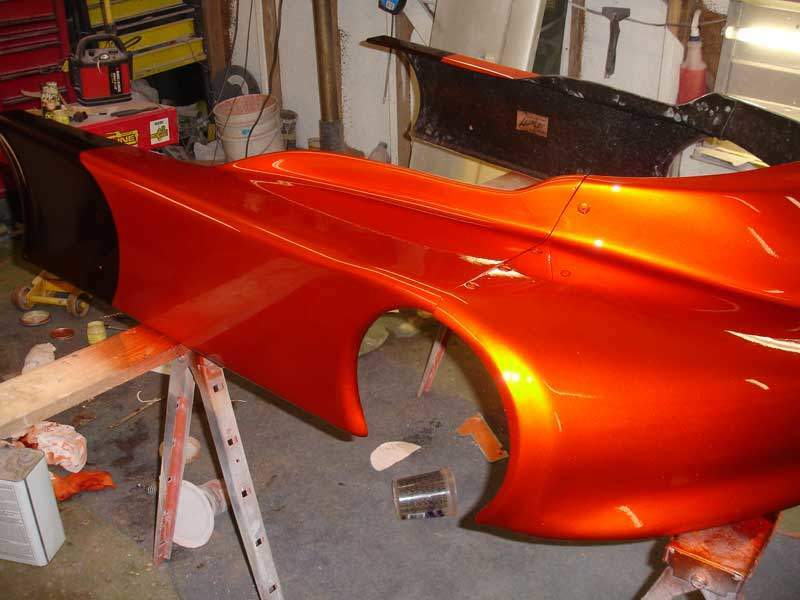 We started out by selling mostly to backyard hobbyists, and can now boast that many of our customers have created true show cars and motorcycles with our custom automotive paints.